In this worksheet, students must understand that addition can be done in any order but subtraction cannot. SUBTRACTING cannot be done in any order. 38 - 19 and 19 - 38 are the same. What is 28 + 51? 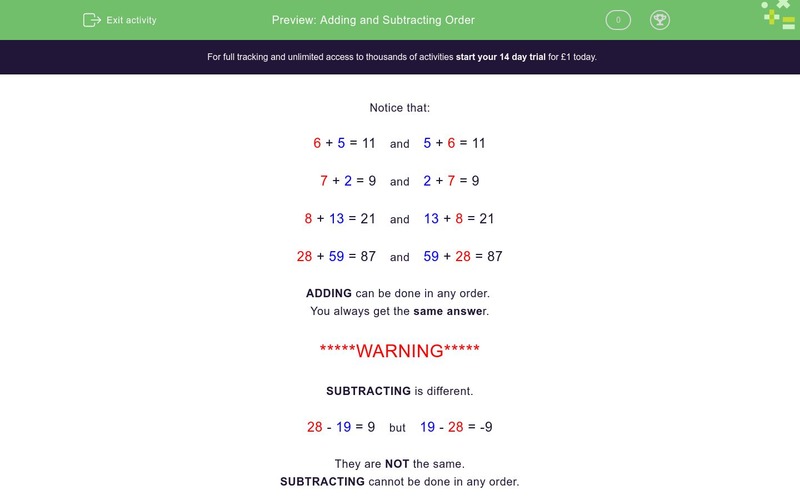 Match the additions and subtractions which give the same answers. 37 - 12 and 12 - 37 are not the same. Subtracting cannot be done in reverse order.